A fund advised by two UBS firms changed its investment strategy to include risky credit default swaps without adequate disclosure, the SEC says. 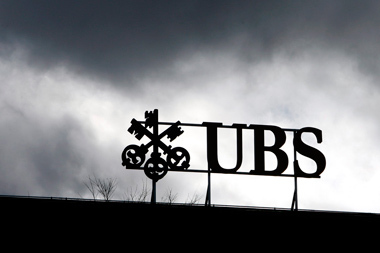 Two UBS advisory firms agreed Monday to pay $17.5 million to the Securities and Exchange Commission for failing to disclose that the UBS Willow Fund, a closed-end fund they advised, had changed its investment strategy to include risky credit default swaps. Of the total $17.5 million fine, $13 million will be returned to harmed investors. The SEC found that UBS Willow Management negligently violated the antifraud provisions of the federal securities laws and that UBS Fund Advisor failed to supervise UBS Willow Management. According to the SEC’s order, UBS Willow Management, a joint venture between UBS Fund Advisor and an external portfolio manager, marketed the UBS Willow Fund as one that primarily invested in distressed debt, a strategy predicated on the debt increasing in value. From 2000 through 2008, UBS Willow Management invested the fund’s assets consistent with the strategy described in the offering and marketing materials, the SEC states. However, UBS Willow Management changed course in 2008 and instead of focusing on investments in debt issued by troubled companies, it had the fund purchase large quantities of credit default swaps, a strategy predicated on the debt decreasing in value. As a result, the fund “started incurring big losses due to its holdings of credit default swaps, which rose from less than 2.6% of the fund’s market value in 2008 to more than 25% by March 2009.” The fund continued to perform poorly due to the change in strategy and was liquidated in 2012. UBS Willow Management “did not provide adequate disclosure of the change in investment strategy to the fund’s investors or board of directors,” the SEC states. Furthermore, the SEC states that a UBS marketing brochure provided to potential investors from fall 2008 to May 2009 misstated the fund’s strategy and investor letters it sent from fall 2008 to August 2011 contained false or misleading information about the fund’s exposure to credit default swaps. UBS Willow Management also caused the fund to misrepresent its investment strategy in shareholder reports filed with the SEC from fall 2008 until the fund’s liquidation in 2012. Without admitting or denying the SEC charges, UBS Willow Management and UBS Fund Advisor agreed to be censured and to jointly and severally pay $17.5 million, consisting of $8.2 million in disgorgement of advisory fees, $1.4 million in prejudgment interest, a $3 million penalty, and $4.9 million to compensate investors for losses. The disgorgement and investor compensation amounts totaling approximately $13 million will be distributed to affected investors. UBS said in a statement that the firm is “pleased to have resolved this matter relating to the UBS Willow Fund” with the SEC. — Check out Citi Overlooked a Few Thousand Illegal Trades on ThinkAdvisor.